It is typical of evil governments down the years that they think nothing of the convenience of their citizens. 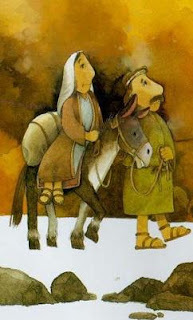 I am sure the last thing Joseph wanted with a pregnant Mary, and all the extra bills fatherhood would bring, was to down his carpenter's tools and travel to Bethlehem just to register and pay a tax. If an Islamic TV station owned by Iran can wish me a happy Christmas, all is well with the world. I guess all would have been well if only Augustus had cared enough to send the very best.